In the land of Myst, a tyrant rules the city of Bree with an iron fist, leaving its citizens living in fear and terror. But all hope is not lost as a young orphan girl from another world discovers her destiny and becomes the legend she was meant to be. 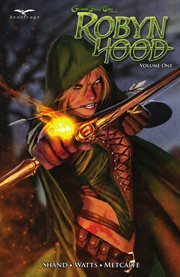 The creators of Grimm Fairy Tales, Wonderland, and Neverland bring you the next great hero in the Grimm Universe!